Dr Phillips and Jones both got off to a slow start ending the first quarter 7-6 Dr Phillips. Second quarter more of the same though Jones outscored the Panthers 11-9 for a 17-16 halftime lead, led by senior wing Jaiyanna Thomas with 6pts 3stls 2rebs. Jones opened up the second half with senior guard Shania Jacobs hitting back to back three pointers, Soph Jamiya Turner came to life with some steals and fast break layups including getting fouled on a made layup as well, and Chardell Jones quietly grabbing key rebounds, Jones jumped out to a 29-20 lead. Dr Phillips UNF signee Tiffany Tolbert got a layup and was fouled for her only 2 points of the night. The Lady Tigers were mixing up defenses all game trapping, pressing and man defense, the Lady Panthers could never really get on track, getting outscored 16-6. 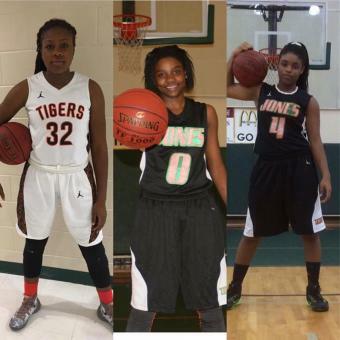 Fourth quarter more of the same for the lady tigers, Turner 4pts in the quarter, Jones and Thomas each finished with 5pts in the quarter outscoring the lady panthers 15-8 en route to a 48-30 victory.